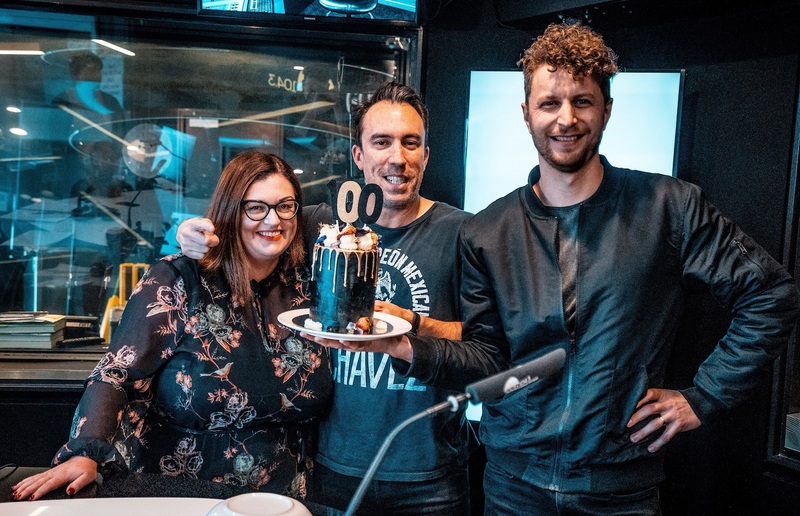 High profile ARN recruit Christian O’Connell broadcast his 100th show today on Gold FM. The Brit arrived in Australia shortly before the fourth ratings book of the year. While Christian hasn’t yet made any significant gains in share, he has garnered what appears to be a solid, loyal listenership, and better performances could be on the way. Today he celebrated 100 shows or 400 hours, and ahead of the milestone, he challenged sidekick Jack Post to write a song lasting 100 seconds encapsulating the journey so far. “I know you say it’s my show… but it’s made here with you guys – Pats and Jack – and everyone who calls in as well,” said Christian. “You’ve all been the stars of the show for the last 100 shows. I’ve been doing breakfast radio for 20 years, this has been the most exciting six months of my life. It's been 100 shows! Unreal! @OC challenged Jack to put the 100 shows in 100 seconds, so here's a song that sums up the journey so far! Earlier this year Christian spoke with Radio Today about the challenges of following on from Gold’s previous #1 rating Breakfast show, and why Aussie ratings are “sharper” than the UK.